A boy of only 17 months of Baramba region in the district of Cuttack was afflicted with AIDS after receiving transfusion on operation table and Orissa High Court had imposed cash punishment on the State Government holding the blood supplied by the Municipal Corporation Blood Bank as infected with HIV in window period. It was found in course of hearing that unless blood is screened by NAT PCR technology, HIV virus in window period may escape detection and cause AIDS in unsuspecting and innocent patients. Therefore the High Court had issued a mandamus for blood testing through NAT. But, as is their wont, Orissa bureaucracy slept over the mandamus. ORISSA MATTERS exposed this criminal negligence and did it repeatedly. The then Opposition Chief whip Sri Prasad Harichandan questioned the nonchalance of the government by subjecting the issue to an adjournment motion on September 1, 2012. Health Minister Dr. Damodar Raut, as he then was, regretted the delay and assured to install the facility at least in the three government medical colleges and the capital hospital, to begin with. On taking over as Health Minister, Sri Nayak was shocked to see that the department was far behind from implementing his predecessor’s as well as the High Court’s order, when unsafe blood was creating havoc, as exposed in the High Court ruling. On September 19, 2014 he issued an order to the Secretary to ensure that the live-saving orders are executed without further delay. 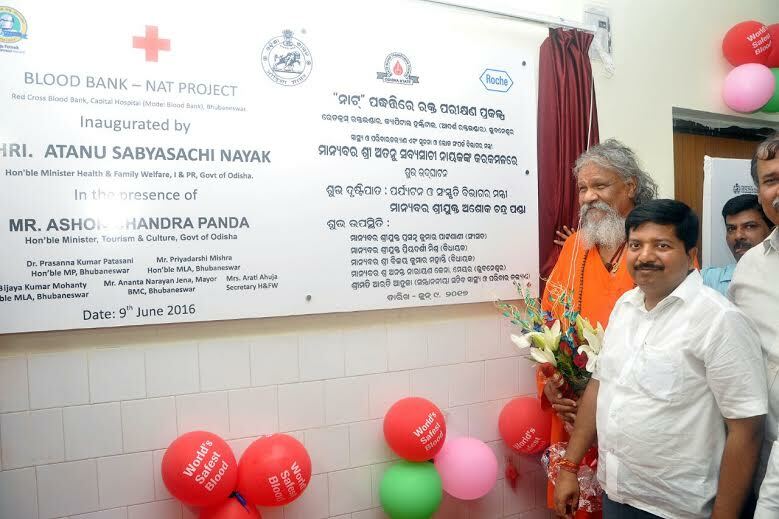 So, when today, after such a big lapse of time, NAT technology is launched in Bhubaneswar, it can be safely said that Mr. Nayak has launched a revolutionary phase of concerned and dedicated healthcare in the State. “We are happy to bring the Roche NAT solution to Orissa. This is a firm step towards our Government’s commitment to providing quality healthcare in the State. With this technology, we can be sure that people of Orissa will get access to safe blood in State Blood Banks. Safe blood is the foundation of healthy living. I am happy that such safe blood will now be available to everybody in our State through our Blood Banks” he said while launching the facility. On this occasion, Dr. Sandeep Sewlikar, Head of the department of Medical and Scientific Affairs of Roche Diagnostics India said, “World Health Organisation (WHO) reports that, in India there is a shortage of 3 million units of blood against the annual need of 12 million units. In such a shortage situation, the quality of blood being transfused generally is not the prime focus. However, if blood screening is not done with NAT technology or if the transfusion procedure is unsafe, life-saving blood can lead to life-threatening ‘transfusion transmitted infections’ (TTI), besides causing other serious adverse reactions. The issue of safe blood transfusion and stringent quality checks is a concern equally critical as shortage of blood, and needs to be addressed.” Elaborating upon the facility, he further disclosed that, as a screening technology, NAT has proven effective in detecting window period cases of viral infections. NAT or Nucleic acid testing (NAT) solution enables screening of donated blood, to reduce the risk of transfusion transmitted infections (TTIs) in people receiving blood. This is the first time that NAT technology is being introduced in the State of Orissa. 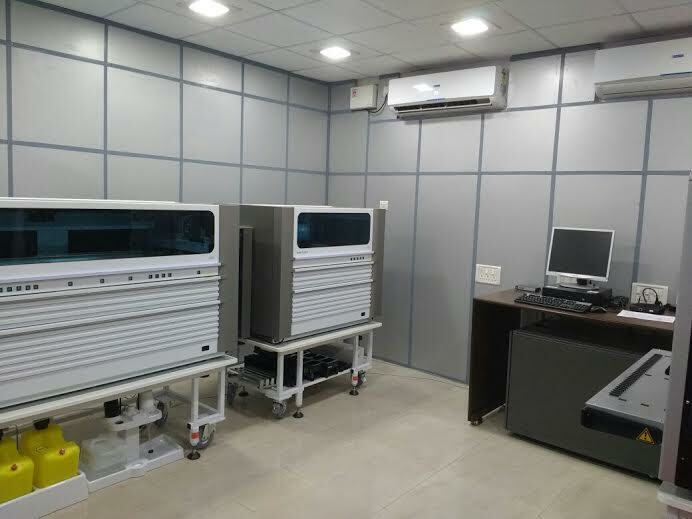 The State Government through its partnership with Roche Diagnostics India, have already launched the facility at VSS Medical College and Hospital, Burla and would be launching the facilities at SCB Medical College and Hospital, Cuttack tomorrow and MKCG Medical College and Hospital, Berhampur shortly. The introduction of NAT will significantly reduce TTI associated morbidity and mortality. Additionally, it will also have a positive health economic effect of reduction in State’s and personal expenditure on treatment and hospitalization due to TTIs, the experts say. Orissa’s Tourism & Culture Minister, Ashok Chandra Panda, Dr. Prasanna Kumar Patasani, MP., Mr. Priyadarshi Mishra, MLA, Bijaya Kumar Mohanty, MLA, Mr. Ananta Narayan Jena, Mayor, BMC, Bhubaneswar, Mrs. Arti Ahuja, Principal Secretary, Health and Family Welfare, Mr. Niranjan Sahu, Collector, Khurda were present amongst others. Finally ORISSAMATTERS could persuade the Govt. to think & IMPLEMENT something good and deserving for the PEOPLE OF ORISSA .